The New Year is a chance to transform and better yourself; it’s a clean slate with wonderful opportunities to reflect on the past and rejuvenate for the future! 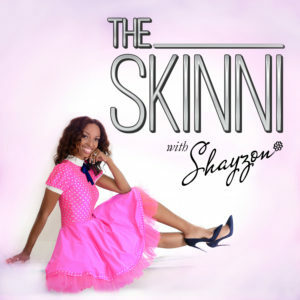 In this episode of “The Skinni,” Style and Beauty Expert, host, and tv personality Shayzon reflects on the holidays, talks holiday styling and makeup tips, and encourages you to put your best foot forward for the new and exciting opportunities that await in 2017! Shayzon, thanks again for another great show. I was laughing when you mentioned about being on time, because that’s a goal that I want my husband to keep. It even came to the point of telling him a different time that something is going to start to make him get there on time. Now, changing my lipstick color, whoa Billy. That’s going to be a tough one, but I’m up for the challenge. Thanks again and wishing you all the best for the new year.